Alpha Protocol combines action, stealth and role playing together in a fun mixture as you play field agent Michael Thorton. The game was released in 2010 with availability on Windows, Xbox 360 and PlayStation 3. The game follows you’re customised agent Michael Thorton as he deals with all the usual underground crime rings, corrupt government bodies and terrorists. This journey takes you across the globe and has plenty of opportunities for you to push the story down a particular path. There is definitely a huge amount of flexibility here that lets you feel like you’re actually driving the story which is the main appeal to the game. 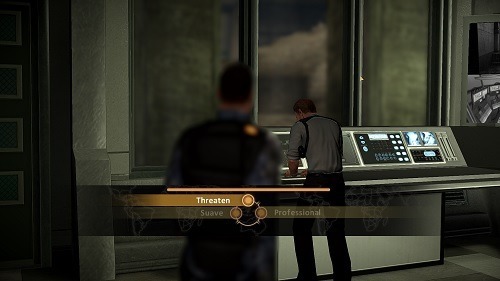 Alpha Protocol uses a third person approach to gameplay which does help you keep track of your wider surroundings all the time (particularly useful for stealth). There are plenty of different ways to approach combat in Alpha Protocol with players able to build a character focused on hand to hand combat, stealth or one of the many weapon categories in the game. With some unique skills and plenty of depth to this system you’ll spend lots of time making hard decisions about the Michael Thorton you want to play. Outside of combat much of your time will be spent in the dialogue sequences which play just as much of an important role as your combat choices. At various times during a conversation you’ll be prompted to make one of several decisions within a limited time frame, what you choose to say during dialogue can have a large impact on events in the game world offering room for replay opportunities in the future. 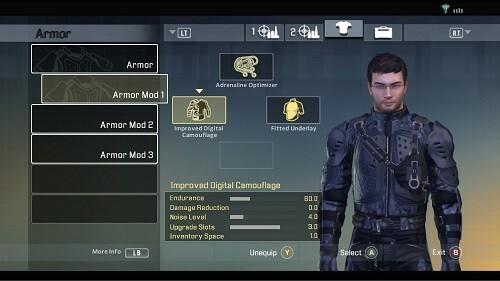 With its huge level of customisation it isn’t hard to get immersed into Alpha Protocol and feel like you’re in control. This amazing experience is only let down by some AI issues that are sometimes are hilarious but mostly frustrating. Great dialogue trees let you drive the story. Plenty of fun and unique skills to use in your overall combat strategy. Multiple paths give the game good replay value. On Windows, Xbox 360 and PlayStation 3. We need more videogames like deus ex the conspiracy and the other 2 in the series. I was able to play the first 3 games without following an arrow or waypoint and was able to explore the worlds all on my own which is the most fun. The environments are large in those games but not too large as in an open world game where you have to rely on an arrow or way point to complete a mission but not in the deus games as well as the bioshock series, dead space 1,2.